Today we are back on the blog with the latest styles that arrived new in store. 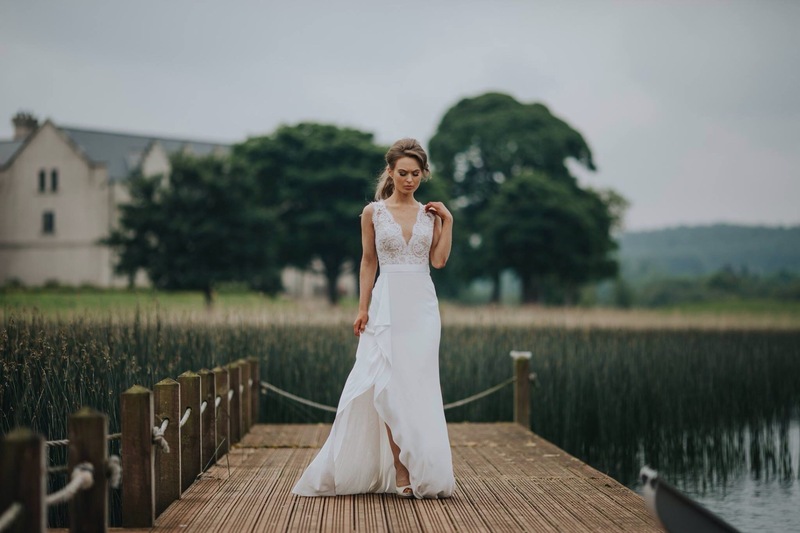 With upcoming Summer 2017 and early birds in 2018 getting married we have put together a wee collection of what’s on offer here! Of course not all is up as we can’t give away all the surprises we have in store! Off the shoulder is proving to be a big hit! 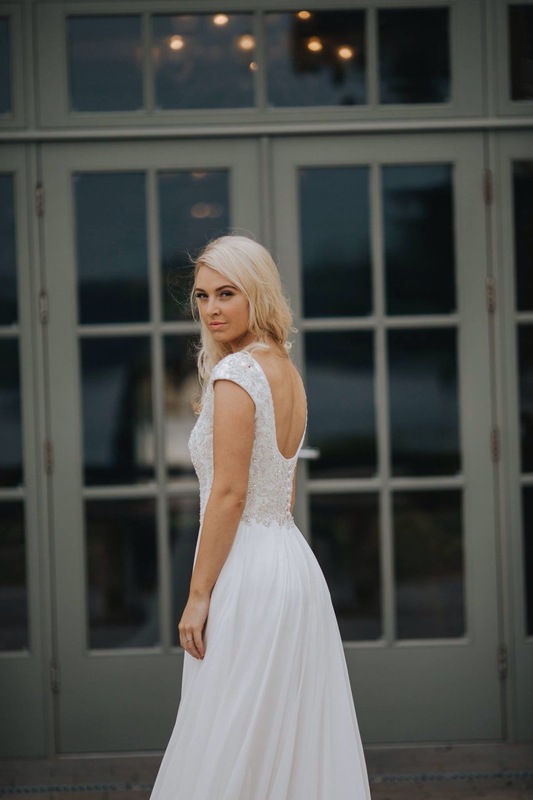 As strapless gowns are fading away slightly this stunning style covers the top of the arms and offers that little bit of coverage in areas you might want to cover. Think demure and lady like with off the shoulder; a style that suits everyone. Sleeves are becoming a statement! Long sleeves have continued to trend ever since Kate Middleton wore them, but next years sleeves have a little something extra. 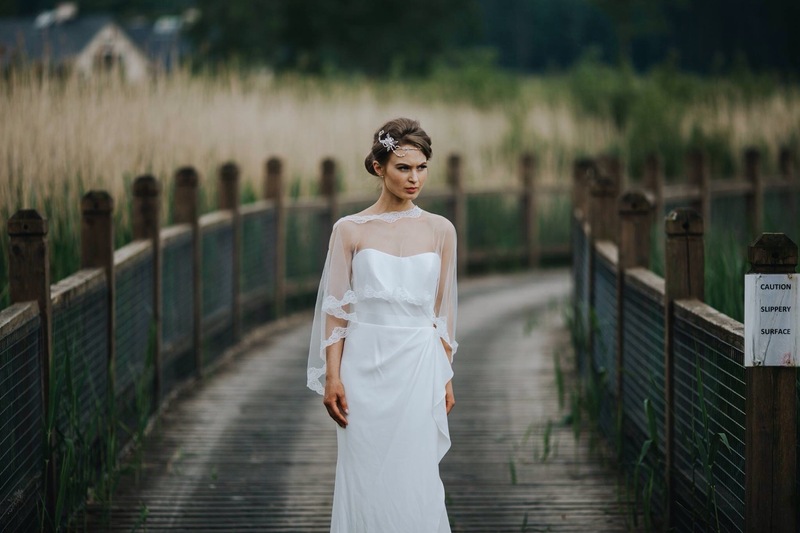 Bell sleeves are very much in for 2017; they are great for a fashion forward bride or for someone who wants to cover their arms. Plain fabrics! 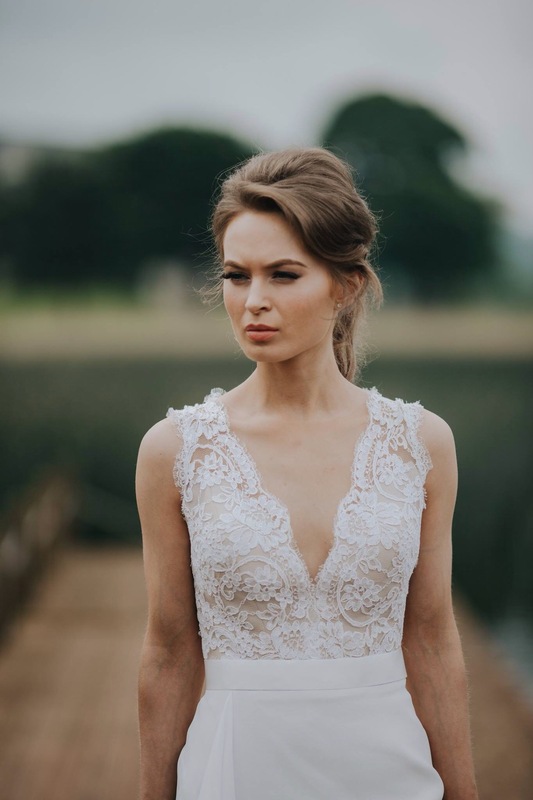 Thinking that lace doesn’t suit you or you feel that it hasn’t been done too much lately? Well then plain fabric dresses such as crepe, satin, chiffon, silk, mikado materials well may be for you! 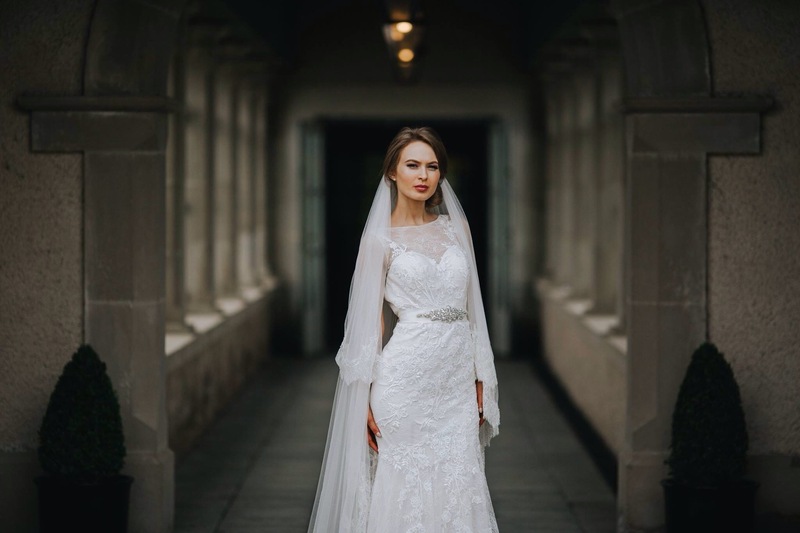 Add hints of detailing such as appliqués and belts on the shoulder, at the waist, maybe even a beautiful long detailed veil may well be the style for you. Full skirts! Chanel your inner Disney princess for the day and swish like you never swished before with a fabulous full skirt. Have it nipped in at the waist to show of your figure and then have fun with the rest! Lately more so you will see fuller skirts in plain fabrics maybe with a bow or detailed belt at the waist for that extra glitz. Remember it’s the one day your allowed to wear a big dress! 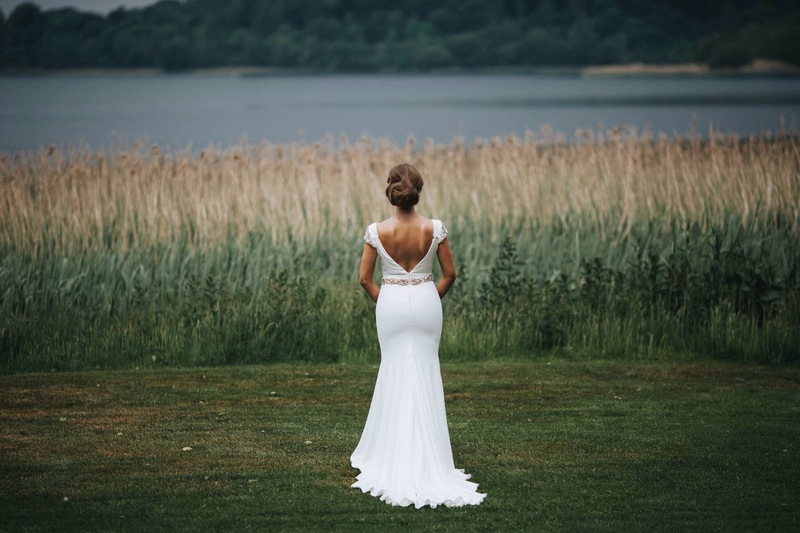 High necklines and low backs. 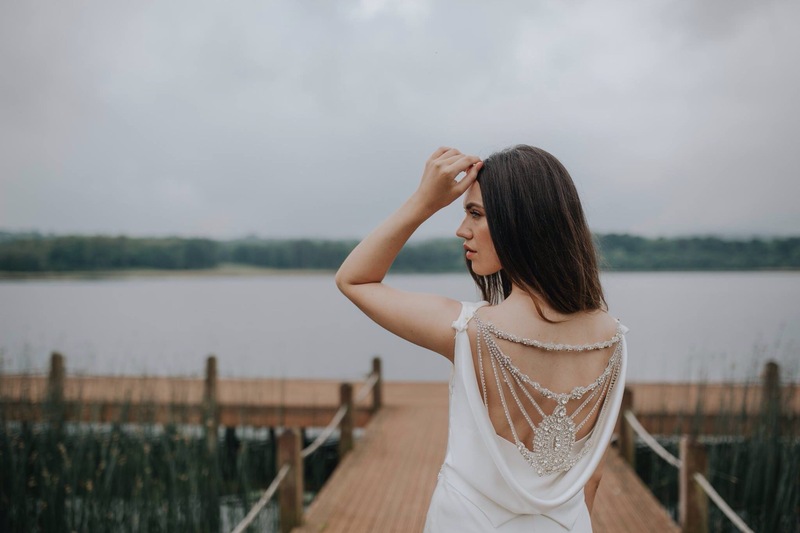 The rule of thumb generally is if you have your back out your front will be somewhat covered up,be it with an illusion net; beading; V-neckline and then vica-versa with high necklines means an open back or even a pretty illusion style with netting. 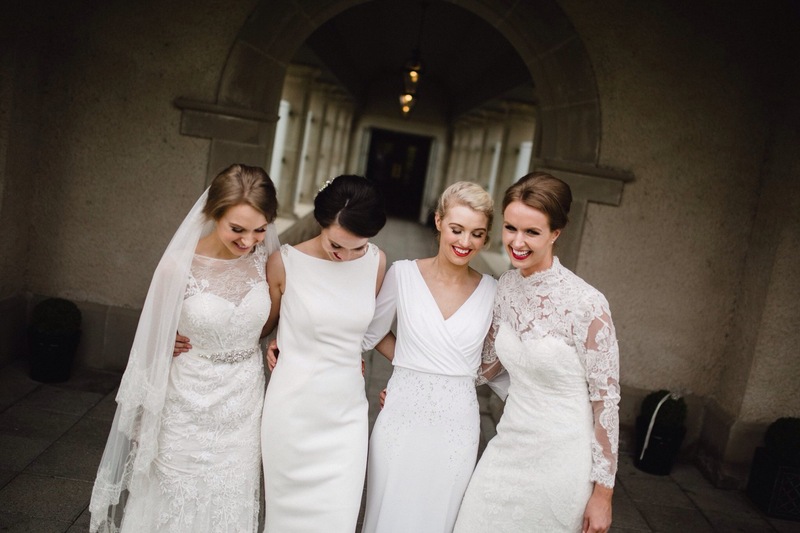 High necklines are a particular favourite of mine! If you are moderately busted with small shoulders you can carry this strikingly style off. Sparkle! 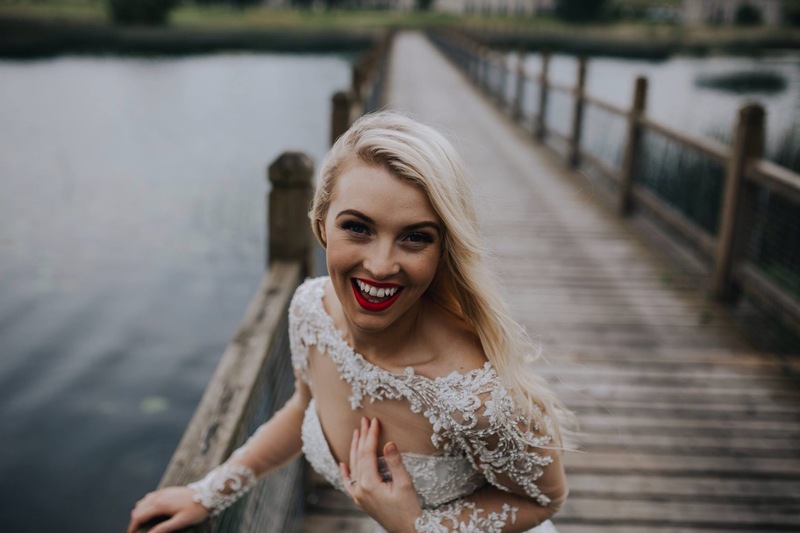 Yes every girl loves a hint of bling on her wedding day, we have some beautiful beaded dresses instore at the minute to suit all shapes. 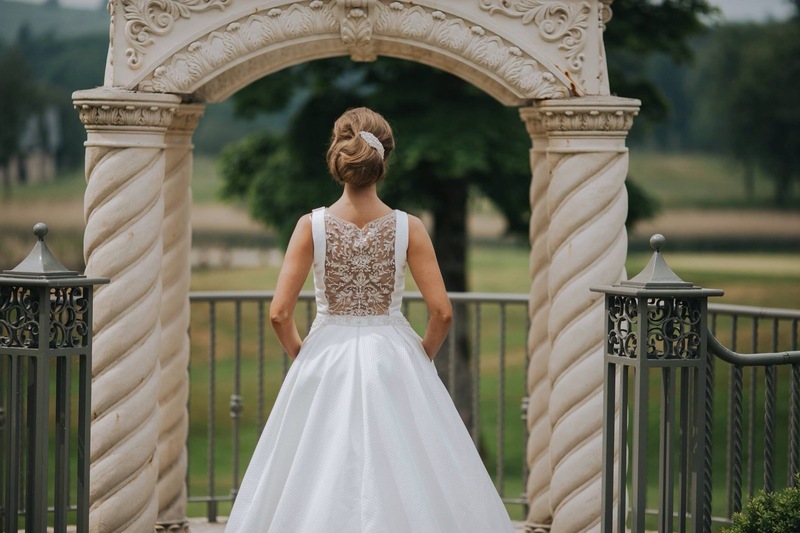 If it’s fit and flare, full skirts, A-line, mermaid, or straight up and down we have it covered with beading all over, plain with a hint of bling or even lace with beading. The start of the 2018 buying trips is in January with Pronovias! We are so excited to see what they have to offer us! Remember to follow us on our social media platform so to keep up to date with all that we are getting up to! 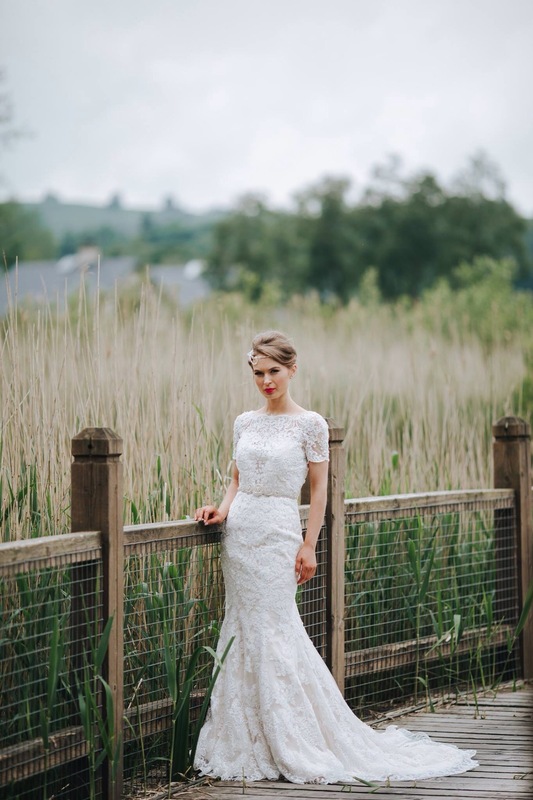 We are back on here again to tell you all about our photo shoot we done last week at Ecclesville Centre, Fintona! A slightly different and if I may add (scary) venue for a bridal shoot! But it worked amazingly thank goodness! 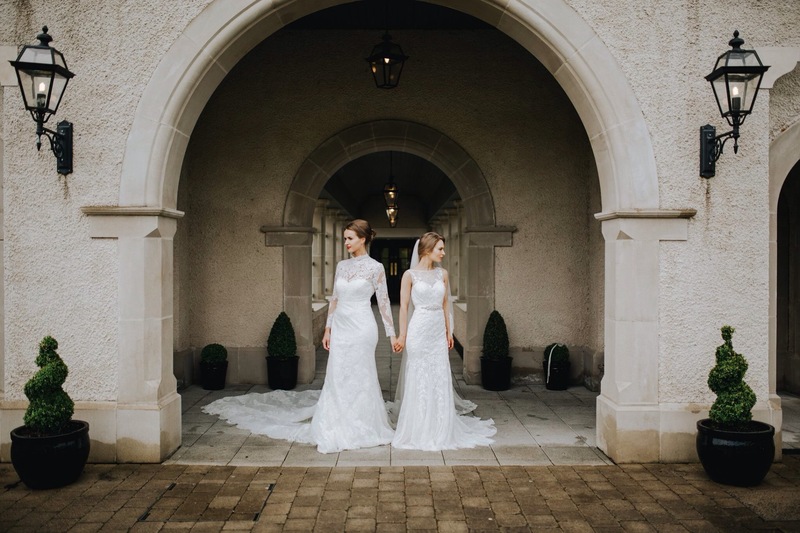 So we wanted to create a look that was autumnal yet different so with the help of the fab Erica Irvine Photography she worked her magic and persuaded the girls at the centre to let us come in and take over their venue and horses for the day! We had a great day, weather wise it was cold but thankfully stayed dry for most of the day to let us shoot our pretty dresses! Our very brave and stunning models for the day were Jill Wallace, Rachel Love, Ria Hewitt and Enya Sullivan who all got on with the job dealing with the lovely horses! No body was scared of them and they all had great craic prancing about with them during the day! The very talented Victoria from Cinematic Life captured the style of the day on video, we will be uploading that very soon so keep an eye on our Facebook page for that 😉 this girls talents are endless, Victoria works so well with Erica and you wouldn’t know the pair of them were working away to be honest! They get the job done and are so professional. Erica, what can we say about this girl! Boy she really knows what we want more than we know ourselves!! I’m sure she loves to see my number ringing her wondering where or what panning we have got ourselves into now lol! Thank you so much Erica for your help and stunning pictures of our photoshoot 💕👌🏻 we love them! 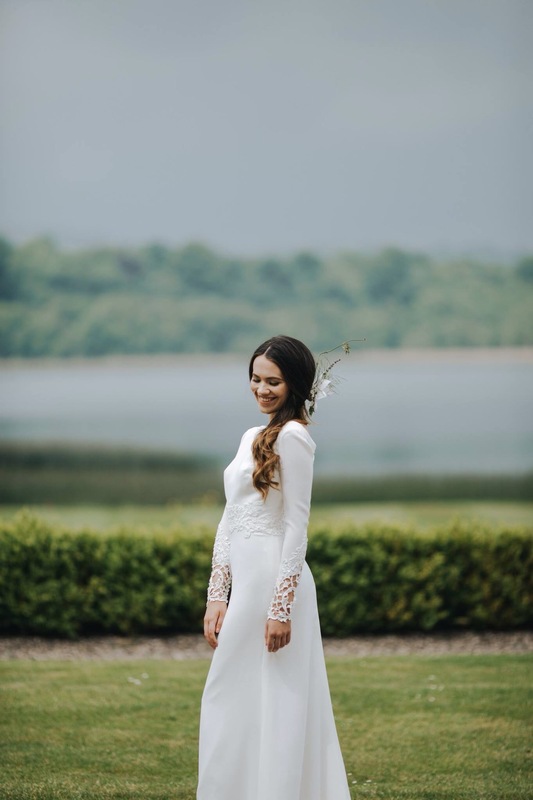 We are back today to show you some pictures from our recent shoot at the fabulous Lough Erne Golf Resort in Enniskillen (amazing wedding venue if you haven’t got that far yet in deciding on where to hold your big day)! The staff couldn’t do enough for us and we were looked after so well so a massive Thankyou to them for making our day run with ease. Back to the dresses I hear you say! 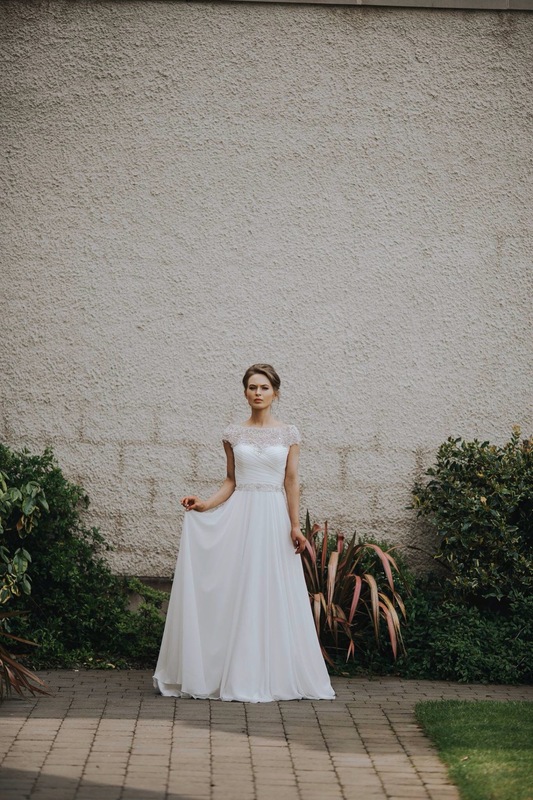 So after deciding on where to hold our shoot we enlisted the amazing photographers Ali and Laura to showcase our collection and boy did they do a fab job! The pictures speak for them selves to be honest! Ali and Laura were a dream to work with and such good fun so a massive thanks to them guys as well. Purple Pencil videographer Mark was on hand to capture the day’s events and that video will be live next week on all our social media platforms for you guys to enjoy 😊. Mark was also a pleasure to have for the day and think he enjoyed the fun with so many women around him! Hair was by Donna Brennan who owns Studio One Hair Salon in Carrickmacross, Co Monaghan. Donna was an absolute gem to work with and her hairstyles were out of this world, her attention to detail was second to none as well, if you haven’t already heard of the salon check them out girls! 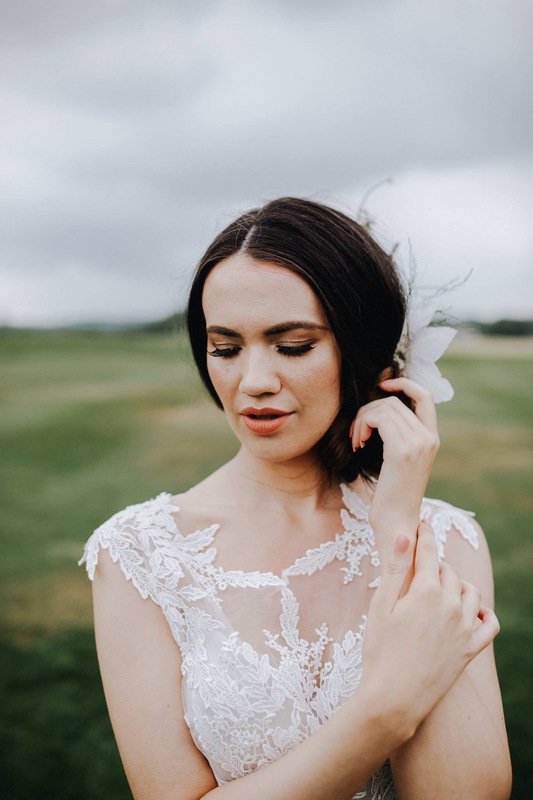 Next up is makeup by Beauty by Jill Wallace, Jill’s style is very natural and again her attention to detail is amazing, she is guaranteed to make you feel at ease on your big day! 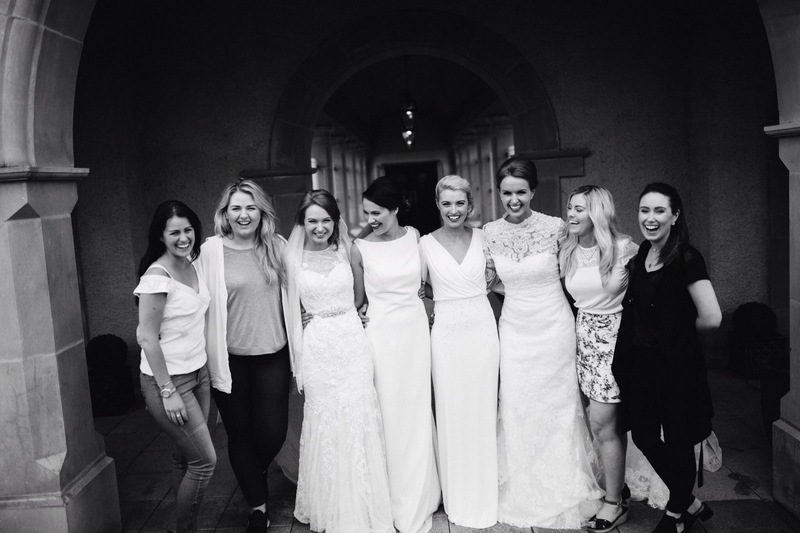 She also modelled some wedding dresses for us too! Jack of all trades!